Gazprom is struggling to get a foothold in the Asian markets leading global economic growth. The company's plan to supply liquefied natural gas to India from 2016, the year the United States is set to start gas exports, is faltering after buyers said they're looking for cheaper fuel from North America. Last year, decade-long talks to supply pipeline gas to China foundered over price disagreements. "Gazprom has a major problem of having a fixed view on what the price of gas should be, irrespective of market conditions," Jonathan Stern, chairman and senior research fellow at the Oxford Institute for Energy Studies, said by e-mail. "If this continues, it will create increasing problems for Russian gas exports." Keen to protect Russia's position in world gas markets, President-elect Vladimir Putin ordered export monopoly Gazpromto diversify into Asia and develop an LNG business. Asia accounts for more than 60 percent of global demand for LNG, gas chilled to a liquid for transport by ship. The region imported 177.7 billion cubic meters of the fuel in 2010, valued at more than $86 billion, based on data from the U.S. Federal Energy Regulatory Commission. Buyers are turning to North America, where record production from shale deposits has driven down U.S. prices. "The global gas market is integrating and that has implications for prices," Christof Ruehl, BP's chief economist, said at a conference in Moscow last month. GAIL India, the country's largest gas supplier, became the first Asian buyer of U.S. natural gas in December when it signed a 20-year deal with Cheniere Energy Partners LP, which is planning the first U.S. export terminal. Prices of LNG in India are at $13.65 per million British thermal units this year, according to FERC. Gazprom had agreed on preliminary long-term LNG supply deals last year with GAIL, Petronet LNG, Gujarat State Petroleum and Indian Oil for a total of as much as 10 million metric tons annually, with contracts to be signed within six months. In contrast to Cheniere, the Russian supplier ties long-term prices to oil, a policy some of its European customers are fighting. China has refused to pay Russia a price on a par with the European level. "We have started price negotiations with Gazprom for the LNG we plan to buy from them," A.K. Balyan, chief executive of Petronet, India's biggest gas importer, said by telephone from New Delhi. "We will have to see how it compares with the United States and other markets." India is "not going to be easier," said Valery Nesterov, an analyst at Troika Dialog. "You have to beware of the situation developing like with China, where we're in the back row with insignificant volumes." The signing will happen this year, Gazprom deputy chief executive Alexander Medvedev said in an interview in New York on Feb. 16. The Indian deal "is in the final stage of preparation" with contract prices indexed to oil, he said. Meanwhile, Sibur Holding, Eastern Europe’s biggest petrochemicals producer, bought an 80 percent stake in Gazprom’s abandoned Baltic LNG project in the Gulf of Finland. Gazprom dropped the Baltic LNG project in 2008, as it switched focus to the Arctic Shtokman field. 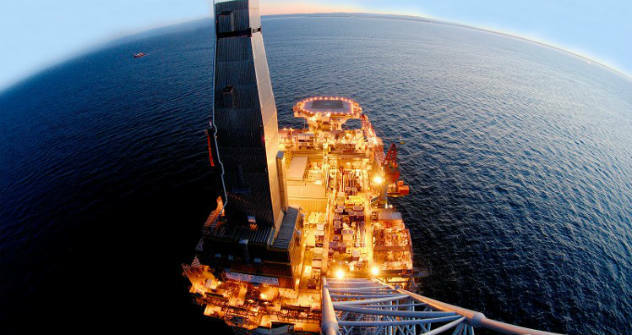 The sale to Sibur was reported Wednesday by Gazprom’s corporate magazine, which cited the project’s director general, Alexander Krasnenkov. Sibur is in talks with shipper Sovcomflot to buy the remaining 20 percent of Baltic LNG, Krasnenkov said.